One of 58 independent, nonprofit Organ Procurement Organizations (OPOs) designated by the Centers for Medicare and Medicaid Services (CMS), Donor Alliance’s mission is to save lives through organ and tissue donation and transplantation. To achieve this mission, Donor Alliance employs effective family approach and recovery programs in more than 100 hospitals. Donor Alliance also inspires the public to register as organ and tissue donors through community partnerships, public outreach, and education campaigns throughout its donation service area. It serves Colorado and most of Wyoming, the third largest geographic service area, covering 184,151 square miles. It has two locations in Denver, CO, and regional offices in Grand Junction, CO; Colorado Springs, CO; and Casper, WY. Donor Alliance has consistently been ranked as one of the top 10 organ procurement organizations in the nation due to its high organ donor conversion rate of more than 80%. The organization consistently outperforms the top 25% of organ procurement organizations in the percentage of donors who have registered themselves to be donors. With results improving from 64% to 74% for organ donors since 2014 and from 65% to 68% for tissue donors (e.g., skin, bone). 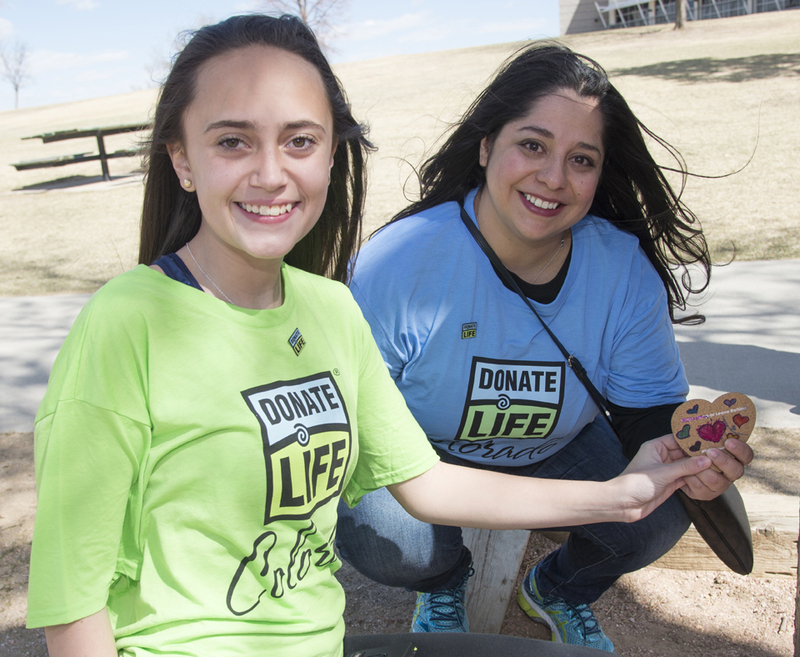 Donor Alliance’s rate for authorization of eligible organ donors has been between 80–84%, a rate that has met or exceeded top 25% national comparison performance since 2014. Its authorization rate for tissue donation has been between 74–79% since 2014 and is in the top 10% nationally. All four local transplant center customers reported 100% satisfaction in the 2018 survey. Tissue processors, who are responsible for the preparation, preservation, storage, and distribution of final tissue grafts for transplantation, also reported 100% customer satisfaction with Donor Alliance. Senior leaders demonstrate a commitment to mission at every opportunity. Each organizational presentation begins with review of the Mission, Vision, and Values (MVV). Staff members demonstrate a widespread awareness, understanding, and connection to the MVV, along with how their own personal objectives contribute to fulfilling the organization’s mission to save lives through organ and tissue donation and transplantation. In 2017,100% of staff members indicated that they understood how their jobs helped the organization achieve success, a full 5 percentage points better than the top 25% comparison. In 2018, 97% of staff members met monthly with their leaders using a standard rounding template to help identify new ideas and areas for improvement, and to recognize staff members for their work. Donor Alliance has consistently been ranked as one of the top 10 OPOs in the nation due to its high organ donor conversion rate of more than 80%. (Organ donor conversion rate is the actual number of organ donors divided by the number of patients who are regarded as a potential organ donor.) The organization consistently outperforms the top 25% of organ procurement organizations in the percentage of donors who have registered themselves to be donors. Results have improved from 64% to 74% for organ donors since 2014 and from 65% to 68% for tissue donors (e.g., skin, bone). Donor Alliance’s rate for authorization of eligible organ donors has been between 80–84%, a rate that has met or exceeded top 25% national comparison performance since 2014. Its authorization rate for tissue donation has been between 74–79% since 2014 and is in the top 10% nationally. Tissue donation referrals from hospitals consistently have been between 99–100% since 2014, outperforming two OPOs that benchmark each other. The number of organ donors has increased from 109 in 2014 to 144 in 2017, and is projected to reach over 160 in 2018, exceeding the national top 25% comparison for number of organ donors per 10,000 inpatient hospital deaths. Donor Alliance is an industry leader in the number of tissue donors, which has increased from 1,590 in 2014 to 1,752 in 2017 and is in the top 10% nationally. Donor Alliance demonstrated industry-leading results for days cash on hand of greater than 494 days from 2014 to 2016. This is more than two times better than the top 25% comparison. This result enabled the organization to purchase a new office building close to its Recovery Center, which will allow it to address future office space needs. Organs billed—a measure that reflects the costs associated with procuring donor organs by type of organ—increased from 422 in 2014 to 549 in 2017 and is projected to be 698 in 2018. The increased number of organs billed directly results in improved organ revenue and contributes to financial accountability and stability. To ensure financial sustainability and the ability to continue its life-saving mission, Donor Alliance measures organ revenue, which has increased from $16.8 million in 2014 to $23.6 million in 2017 and is projected to reach $31 million in 2018. In support of the strategic objective to maintain financial sustainability, the Donor Alliance Recovery Center has realized organ donor cost savings between 66%–73% over the past five years. Donor Alliance also maximizes cost savings through reduction in the inventory of expired supplies, a measure of the effectiveness in managing the supply chain. Donor Alliance uses 20 different approaches to listen to, interact with, and observe customers. These methods vary across the customer life cycle (emerging, on-boarding, and established) and include satisfaction surveys, in-person and video interviews, meetings, scorecards, follow-up reporting, daily phone and email interactions, and a liaison assigned to each of the four transplant centers and two key tissue processors. Ongoing, real-time communications occur among clinical staff and customers throughout the organ and tissue work system processes. All four local transplant center customers reported 100% satisfaction in the 2018 survey. Tissue processors, who are responsible for the preparation, preservation, storage, and distribution of final tissue grafts for transplantation, also reported 100% customer satisfaction with Donor Alliance on three measures: overall satisfaction, relationships, and requirements met. In 2017 and 2018, customer satisfaction with support received from Donor Alliance staff was 100% for organ donor families. Based on Donor Alliance’s value of People First, the organizational culture supports open communication, high performance, and engagement. Employee performance plans are aligned with strategic action plans, goals, and objectives. Training “blueprints” contain role- and culture-specific learning requirements. Donor Alliance’s hiring process ensures fit with the culture through peer interviews, behavioral-based questionnaires, and role-playing exercises. At 91%, Donor Alliance’s employee engagement has achieved top 25% scores over the last three years. In addition, 97% of staff members indicate that they are proud to work for the organization, also exceeding the top 25%. Donor Alliance exceeds top 25% for engagement scores on benefits offered to employees, with performance improving from 74% in 2014 to 83% in 2017. From 2015 to 2018, staff certifications and specialized training have increased from 31% to 38% for clinical staff, 12% to 14% for leadership staff, and 4% to 11% for support staff. The nine-step Strategic Planning Process enables Donor Alliance to consider strategic opportunities; reaffirm its MVV; review performance and projections; and complete action plans. The Executive Leadership Team establishes budget parameters based on projections, and department directors develop workforce plans and department budgets. The strategic plan is shared with the workforce and stakeholders. A reserve policy was created for operational, facility, and strategic opportunity expenditures to help manage risks and ensure financial viability as the strategic plan is executed. Donor Alliance tracks progress on achieving strategic objectives and action plans by documenting and reviewing Balanced Scorecard measures, process measures, and personal goals in the online performance measurement system Compass. The innovative TAOS (Tissue and Organ System) information system tool captures data from the True North electronic donation management system; facilitates data verification; and allows real-time, secure, web-based staff access for daily operations. The security and cybersecurity of sensitive and privileged data and information are ensured through a layered security approach called Defense-in-Depth. Donor Alliance employs information technology staff and a third-party cybersecurity firm using software tools and audits to validate the effectiveness of the approach used to prevent cyberattacks. The results of the audits are reported to senior leadership and the Board of Directors. The most recent audit identified no urgent or high-priority items. Donor Alliance’s Supplier Management Committee (SMC) reviews vendors and suppliers to ensure that they are qualified and positioned to meet operational needs and enhance performance and customer satisfaction. The SMC monitors suppliers to ensure supply chain capability and capacity. Supplier management includes standard operating procedures, supplier selection requirements, and biennial audits. Findings per supplier audit have been either zero or one since 2015, demonstrating supplier compliance with requirements. Donor Alliance organizes events for donor families and recipients, such as the 5K Donor Dash run, which draws over 5,500 participants each year. Donor Alliance’s Charitable Contribution Program gives each employee $100 annually to donate to the charity of his or her choice. The PRIDE Committee collaborates with individual departments and work groups to coordinate quarterly employee-driven events that benefit local nonprofit organizations. Donor Alliance has 200 Advocates for Life: volunteers who work to inspire the public to join the organ and tissue donor registry. Advocates for Life include donor families, recipients, families of recipients, people waiting for a transplant, living donors, and passionate advocates for the cause of donation. They volunteer approximately 3,500 hours and represent Donor Alliance at more than 200 events each year. Donor Alliance has decreased landfill waste by implementing reusable organ packaging material, incorporated green design principles into construction of the Recovery Center, and reduced its carbon footprint through taking fewer flights. Through active recycling, Donor Alliance has saved an estimated 447 trees since 2015. In 2018, it has saved 13 cubic yards of landfill, 8 barrels of oil, and 29,610 gallons of water.